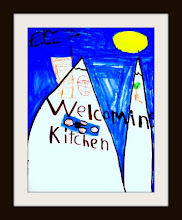 This is a great week here in my Welcoming Kitchen! 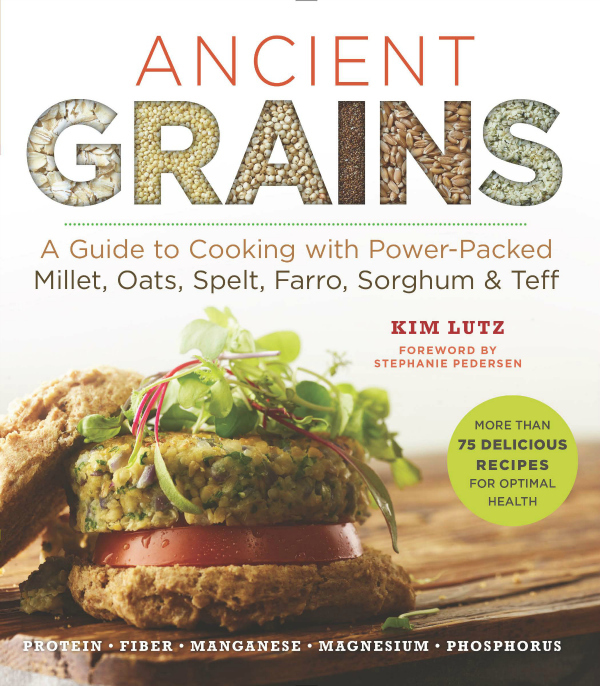 First, I am having a blast promoting my new book, Ancient Grains: A Guide to Cooking with Power-Packed Millet, Oats, Spelt, Farro, Sorghum & Teff (Superfoods for Life) . We had our first giveaway winner in our celebration and I have started seeing it in stores. Second, its Food Allergy Awareness Week. I love hearing all the stories about how people are learning to thrive with food allergies and all the research that's being done trying to help people living with food allergies, like my son. How can we celebrate? How about another giveaway? I am a huge fan of So Delicious Dairy Free products. They provide my family with a host of delicious and reliable products that we purchase every week. 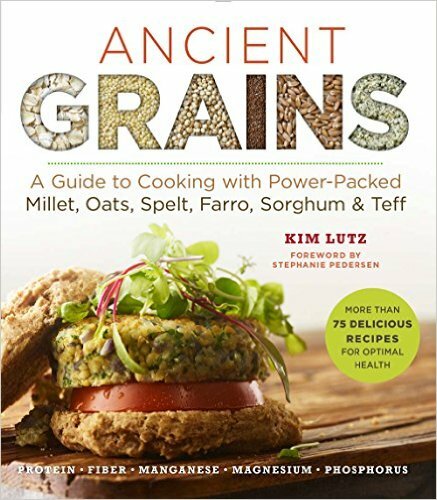 I used So Delicious dairy-free milks and yogurt in so many of the recipes that I created for Ancient Grains. Now it's your turn to enjoy them, too. 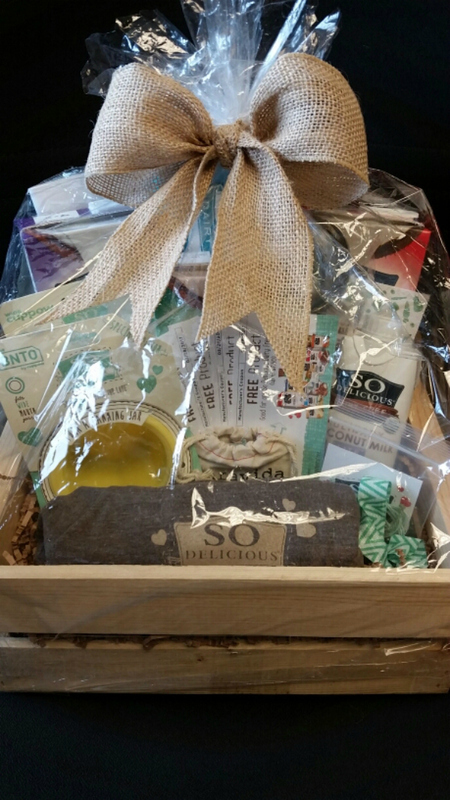 So Delicious will send one lucky US winner a gift basket full of So Delicious delights worth approximately $75. Disclosure: So Delicious Dairy Free is providing one US winner with a basket worth approximately $75. I want to win because So Delicious is amazingly delicious. I want to win so I can try some of the products that are included in the basket. Thanks for the chance to win. Those that I have used or tried, I enjoyed each the SO products. Therefore, I would like try some of the SO products I have yet to use. I'm a big fan of So Delicious so it would be great to win. I would love to win because I LOVE So Delicious! I would love to win! So Delicious is such a great company. I'd like to share this with my mom. I'd love to win so I can experiment with the coconut milk beverages! I want to win because I have tried some of these so delicious products but not all, and I would like to try them all! I would like to win because my kids and I enjoy So Delicious products. I am dairy free and have been for many years but many of these So Delicious products I have not yet tried. I would love to be able to start incorporating more of these products into my daily baking/cooking habits! I want to win because I like to try new things. I love So Delicious products! They've been a big part of my diet since cutting dairy and grain from my diet. Awesome giveaway! I want to win because I've never tried anything made by So Delicious before! I want to win this awesome basket because it is awesome. I am a huge fan of So Delicious products, they are the best! Been dying to try a lot of their new products, just doesn't fit in my budget right now! I love sharing delish vegan products like So Delicious items with non-vegan (and vegan) friends! People should be made aware of all the awesome vegan products that are available. I would love to win,so I can try these dairy free products. I'm lactose intolerant and am always looking for good substitutes. I would love to win so I can try new dairy free products. I'm lactose intolerant and am always looking for new substitutes. This basket looks amazing! I love So Delicious products! I'd love to win so I can try some of these products that I haven't found yet in stores near me! I would LOVE to win this amazing Dairy Free basket from So Delicious because my 3 month old son is EXTREMELY allergic to dairy. He becomes immediately miserable nursing after I've consumed anything at all that contains milk or beef. We live in very rural area, with limited shopping options. It's impossible to find anything dairy free locally, other than one lone brand of Almond Milk. Thanks so much for the opportunity to win!!! We eat a lot of their products. The whipped cream is indistinguishable from the real stuff. 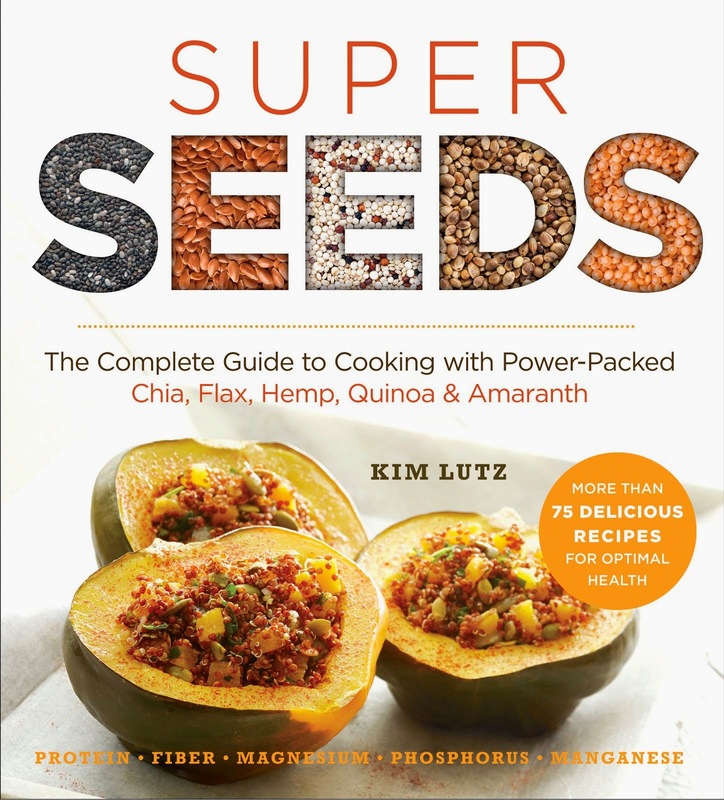 I love all of it, but I especially would like to win the cookbook! I'm the only vegan I know in my city, so I would love to share this with my non-vegan friends and family here! I'm a huge fan of So Delicious products! I would love to win for my son, we love their products! I want to win this because I've heard good things about this company's products. I love their products and there are so many amazing things in this basket that would make me so happy! I would love to win because I love trying new and healthy things! This basket looks amazing! So fun! We love everything So Delicious! So Delicious is great! I'd love to try more of their products. Been meaning to get a Cuppow Cup too. It has So Delicious products in it and I want to win those. I love So Delicious products! They are awesome! I love trying new things! These items look delicious! I would love to win this basket because My mother and I would share it together. She would love it too. Thank you for the opportunity. I have not tried So Delicious and I hope that I get a chance to. I'd love to win because, although I'm not allergic to foods at all (unfortunately), I am interested in how other cultures use grains and love to experiment with recipes. Just purchased my first tagine! I want to win because it's a great prize.. the coupons, the products, the shirt, etc.. I'd love to be able to try these products! I want to win because it looks delicious and I get to try new products! I would like to try some non-dairy products and see if it helps me feel better. Thanks for the giveaway. Congrats on you book! We could use all of these products to make old-standby recipes vegan!! Here's hoping! I want to win because So Delicious is one of my favorite vegan brands! I really love their new cashew based ice creams. I would like to try a few more of their products. I'd love to win because I dont eat dairy products, and really enjoy the So Delicious brand! Oh my gosh. I would want to win; so delicious products are the finest. . Thank you for the awesomeness, the contest, and generosity. :) Pick me, pick me! Starving artist here desperately needs the basket to eat. A life changing exp. I want to win because we eat the SO yogurt every day for breakfast. I would love to try all the amazing products from a brand I like and trust. I want to win because I love So Delicious products and I think this gift basket would make a great gift for my mom's birthday later this month. I want to win because I'm vegan and I love So Delicious! What fun! My favorite frozen dessert is So Delicious Chocolate Obsession soy ice cream, and it's hard to find! Too many stores are dropping or minimizing soy products. I want to win because I enjoy So Delicious products. There is so much that I would love to try out from So Delicious!! This has a lot of that! I'd like to win to try the different Coconutmilk Beverages. I want to win so I can try So Delicious. Thank you so much for the chance! I love So Delicious products, especially the almond milk in my smoothies. I'd love to try the different So Delicious products. I would like to win because I love So Delicious! My husband and I are eating differently as empty nesters. I'm cooking smaller meals and trying new things, this basket would allow us to continue healthy choices! I would like to win this prize because I think my daughter would like to try the Coconutmilk Beverages. I would love to win to try some different products out. What an awesome giveaway! The gift basket sounds marvelous; I am always eager to find new treats I can enjoy with my kids, free from allergens & other issues.